Foster care – is there a looming crisis in the country? Ever since the foster care stocktake was released, we have solidly questioned its remit and motivations. Indeed, whilst it was being conducted, we questioned whether it was a genuine response to the very real problems that exist in relation to fostering. But, prepared to give it the benefit of the doubt, we waited to see what its conclusions would be. There has been much subsequent comment and reaction. It has to be said, mostly it was lukewarm. The leading charity, The Fostering Network, described it as a “missed opportunity”. The government could appear to be doing something – a well established tactic – and problems; like the proverbial can, could be kicked down the road. That works, but only to a point. Those familiar with wider, deep-seated problems in society that impact on fostering, could see the government; if off the hook, would only be so temporarily. And so it has proved to be. The stocktake was a careful piece of choreography. It didn’t deal, for example, with the issue of mental health and its impacts. It had very little to say about education. It appeared largely unperturbed that only six per cent of children in care progress to higher education. Of course, in relative terms, children who start out facing so many disadvantages can be judged to have done well if they actually finish their schooling. If you think this is an exaggeration, remember recent publicity about schools ‘off-rolling’ underachieving problem pupils fearing the school’s results will be affected. This is a very good example of how the encouraging, optimistic blandishments intoned in the stocktake were rapidly overtaken by other factors. All of which can deeply affect children in the care system. There is something wrong, by any measure, by a stocktake unruffled by only six per cent of children in care progressing to higher education. The problem is that any government intent on making serious inroads into improving this statistic would have to confront many other problems lying behind it. If they did, we could be reassured they would be looking at the issue in a holistic way which would bring change. The stocktake has painted a world out of kilter with what is now happening. Press coverage has meant the government has been forced to respond in ways hardly anticipated by the stocktake. This statistic is proving extremely problematic. And this explains why there is frantic government activity. The fate of care leavers’ is clearly being pushed up the political agenda. The government is now requesting universities work to improve the support they give to care leavers. Recently, a new ‘Care Leaver Covenant’* was announced. It is concerning that the government is approaching this at a time when teenagers are too old. Many foster children need to recover first from damaging experiences – then be shielded from the extremely damaging effects of placement breakdowns. It’s only by being raised in a stable and loving environment that a young person can begin to develop ambition. We argue that once we see foster children going on to higher education in large numbers, this will indicate a system of provision that is working. This is the litmus test. It should have been recognised as such by the authors of the foster care stocktake. But to have framed care in this way would have resulted in a whole series of difficult questions and policy requirements. Which is why it wasn’t done. Since its publication government responses have clearly been reactive. This is not at all the same as proactive engagement. And there are very real issues of trust emerging. It is hard for the government to ‘change it spots’ when the House of Commons Library reveals £7.7bn fall in education spending since the Tories came to power. There has been press in recent days where experts are cautioning against a “looming crisis” in foster care. This is attributed to a lack of both support and funding from government. The result of this it is reasoned has left foster carers feeling abandoned and in many cases demoralised. This is made worse by the overwork and emotional burden of fostering children with complex needs and behavioural problems. Remember, no specialist training or qualification is required to be a foster carer – yet carers are increasingly having to deal with vulnerable children whose care would challenge professionals. This is why there is so much weight behind there argument made by The Fostering Network, that foster carers indeed be regarded and treated as professionals. It is revealing that the authors of the foster care stocktake set their faces against this argument. Their idea of what foster carers are having to deal with is conveniently – and cost effectively – rooted in a bygone age. This is inexcusable since there were, and remain, a whole series of alarm bells ringing. 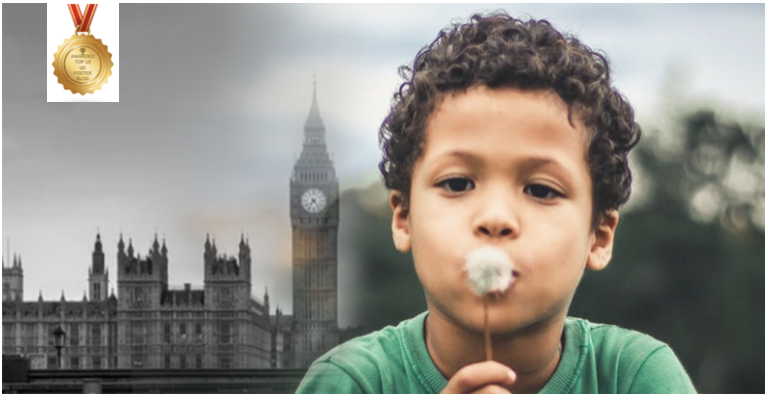 Given that it is always going to be challenging to recruit new foster carers – currently there is a shortage of around 8,000 – it is especially disturbing the report finds that around half of all foster carers would not recommend fostering to other people. Such ‘word of mouth’ recommendations has been key in keeping the numbers of applicants up. So this fact alone could be of particular significance in relation to future recruitment. Important too, is the moral of foster carers: fifty-eight per cent of carers thought they were valued and treated as an equal by social workers, but twenty-five percent felt unsure about the authority they had to make day-to-day about the child in their care. Of course, there are tremendous success stories and many foster carers achieving much for those children and young people they care for. All too often the background ‘mood music’ for this is it’s against the odds. Should we as a society expect fostering to be such a battle. If we do, we should at least recognise that those engaged upon it on our behalf deserve being well rewarded. Then there is the more nebulous cost. How much are we all impoverished if we allow a system to continue that is creaking and underfunded. Famously, this country is described as ‘being at ease with itself’. Such a sensibility has to be at risk if the most vulnerable children in our society face futures that are bleak. What is not acceptable is the random nature of this. Some children in care have a positive experience, but that, surely, is the entitlement of all. If, in the 21st century, we cannot plan, create, and deliver a system that guarantees this consistently, politicians are failing us all. We want the county’s foster children to succeed because of the system, not in spite of it. Consider the story of Lemm Sissay. He was a child in care, but went on to acquire two honorary doctorates, an MBE and beat Peter Mandelson to the Chancellorship of Manchester University. In his one-off production ‘The Report’ put on at the Royal Court in London, his experiences as a child in care were excoriatingly retold. It is a harrowing tale of achievement against the odds and the kinds of experiences that would break the will of most. Its value is that it illustrates to the rest of us the kind of world and experiences children in care confront. Of course, every story is different, but there are common themes – uncertainty, betrayal and indifference. Do we want people to succeed against such insurmountable odds. Of course not, because for every success story there will be many more that end sadly and, in some cases, tragically. many ways about the varying character attributes of those motivates to consider fostering. It follows, therefore, much more could be done to refine the recruitment process. Without waiting to be cynical, it may well suit the government to perpetuate a simplistic notion of the kinds of people who go into fostering: well-meaning, kindly and not looking for much by way of reward. Such a stereotype hardly compares with people keen to see themselves as professional, motivated to develop a career and take up every training opportunity its going to increase their worth. And it would be this last consideration likely to disturb a government already cutting costs. There is a paradox: governments of all stripes have never been reluctant to spend countless sums on consultants and various vanity projects of one sort or another. In such instances, outcomes have often only been vague, and even if realised have come only after hugely significant cost over-runs. And yet, where fostering provision is concerned, it is clear to see that funding increases targeted in particular ways could make a profound and positive difference. The people of our country, the taxpayer and of course the growing numbers of vulnerable children all deserve fresh thinking and a new direction from government. Are you in a position to provide a foster home? You could be helping a vulnerable youngster who can no longer live with their own family. The minimum requirements to foster are quite straightforward: a spare bedroom; be over 21 years of age; have a passion and commitment to improving the lives of children and young people. Importantly, you should be dedicated to supporting them with their education. At Rainbow, we welcome all applicants to foster: this is regardless of their ethnicity, religion or indeed their cultural background. An individual’s sexual orientation or relationship status is not a bar to fostering. Single people, couples, divorcees, married couples – those with or without children of their own – can all consider becoming foster carers. Would you like to be trained to foster a child, teenager, parent and child or a sibling group? Of course we would be delighted to talk in person with you if you need clarification on a particular point(s) concerning fostering.